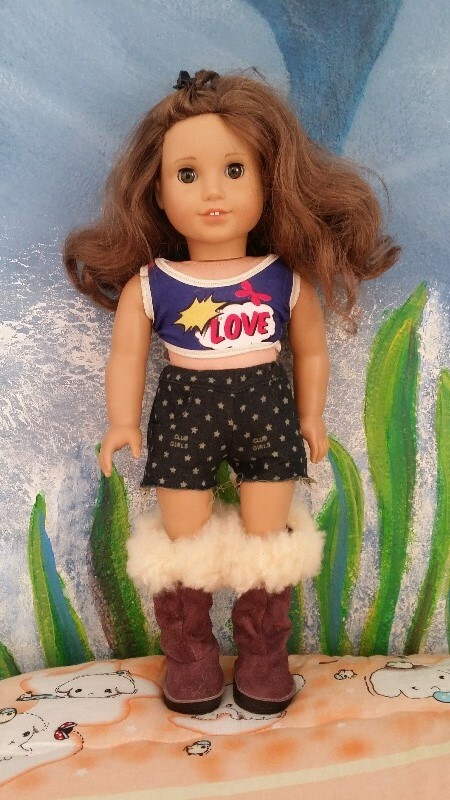 Delight your doll with a new pair of fur trimmed boots! Miche Designs has designed another super cute shoe pattern designed to fit 18 inch American Girl ® Dolls. This is an intermediate level PDF pattern because of the assembly, the sewing skills required are basic. These boots are designed to be pulled on and off, no hook and loop tape or buckles needed! Skill Level: Intermediate. You will need the basic understanding of how to use a sewing machine. The assembly of the shoe requires a bit of practice and patience, which is why the pattern is rated intermedaite. This was only my 2nd try at making boots. The combat boot pattern was great. The fur trim is a very clever pattern. I do suggest the pattern lists the finished boots height. As I think as it is, its way to tall. I love the design of these boots. Fall is coming and they will be a great addition to our fall line on Etsy!